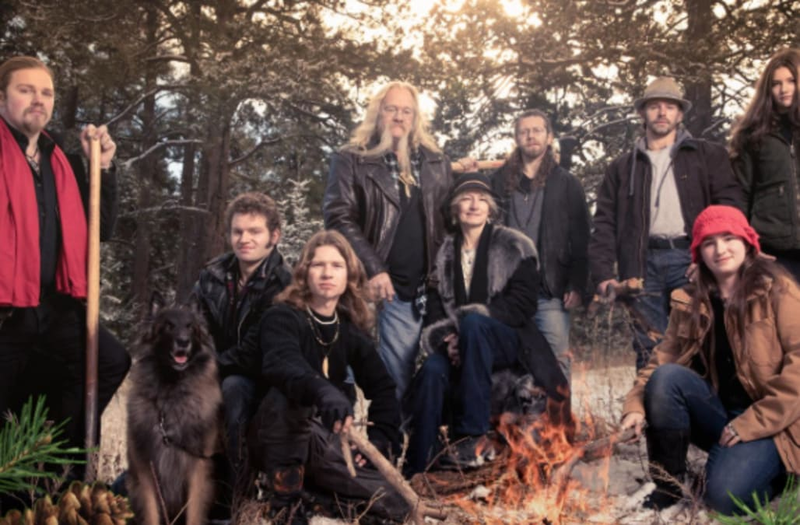 Alaskan Bush People season six premieres on the Discovery Channel on Wednesday, Jan. 4, at 9 p.m. Eastern, reuniting viewers with the entire Brown family — Billy, Ami, Matt, Bam Bam, Gabe, Bear, Noah, Snowbird and Rain. A promo video for the new season tease that "it's time to get back to things of the Bush." But what exactly does that mean? We're breaking down what's real and what's fake about the reality series family. Some members of the Alaskan Bush People family have "wild" names. But those are not their legal names. Bear Brown's real name is Solomon, and Bam Bam Brown's real name is Joshua. Brown family patriarch Billy is not originally from Alaska. Although he knows the ins and outs of the land, Billy was actually born in Texas. According to Alaska Dispatch News, Billy and Ami moved their family to the state in August 2012. Billy and his son Joshua found themselves in some legal trouble in 2015. The duo lied on a form for their Permanent Fund Dividend, claiming that they lived in the state from 2009 to 2012. People reports they were actually living in Seattle during those years. In November 2015 Billy and Joshua entered a plea deal agreeing to repay the state the money owed ($20,938), as well as serve two years of probation and perform 40 hours of community service. The judge rejected that plea deal, and in January 2016 they were sentenced to 30 days in jail. The family was also fined a couple thousand dollars. Don't worry if the name Karryna Kauffman doesn't ring a bell. The young woman appeared on a season four episode of Alaskan Bush People as a love interest of Noah's. The youngest Brown son claimed to have met her while on a trip to the lower 48 states, however, there is some speculation about whether their encounter was real or staged. Karryna is an actress with an IMDb page, and competed for the title of Miss California in 2012. There are reports the Discovery Channel series is based on Billy Brown's 2007 novel,One Wave at a Time. In a video posted on the Nicki Swift YouTube channel, Nicki Swift explains that Billy moved his family down to the lower 48 in the hopes of selling his story. A production crew allegedly followed the family back to Alaska and recreated the lifestyle described in the book. Brown matriarch Ami is always hopeful her sons will get married and expand their family in the Alaskan Bush, and Bam may very well be on his way. There are rumors Bam got married to Allison Kagan, a supervising field producer for the reality series. Those rumors have not been addressed by the network or the family.